GAVA's Early Childhood (EC) Sector Manager & Community Organizer is housed at United Way for Greater Austin. She works with providers to bring healthy food, age-appropriate physical activity opportunities, and health education to early childhood care centers, home-based providers, and pre-K classrooms throughout 78744 and 78745. "Early childhood" is defined as ages 0-5, some of the most formative developmental years of every child's life. Our early childhood work helps children, their parents, and their caregivers build a foundation of healthy habits that will last the rest of their adult lives. Statistics show that current middle school students in lower-income neighborhoods are already overweight or obese at early adolescence, meaning that they have to work against accumulated unhealthy habits related to nutrition and physical activity. Our work in this sector supports healthy changes for early childhood care providers in 78744 and 78745 to structure their daily routines, feed the children in their care, and provide physical activity outlets. In some cases, GAVA works to bring shade or better outdoor infrastructure that allows for outdoor learning and increased physical activity. In addition, it teaches parents in the neighborhoods how to integrate nutrition and physical activity into their routines at home. 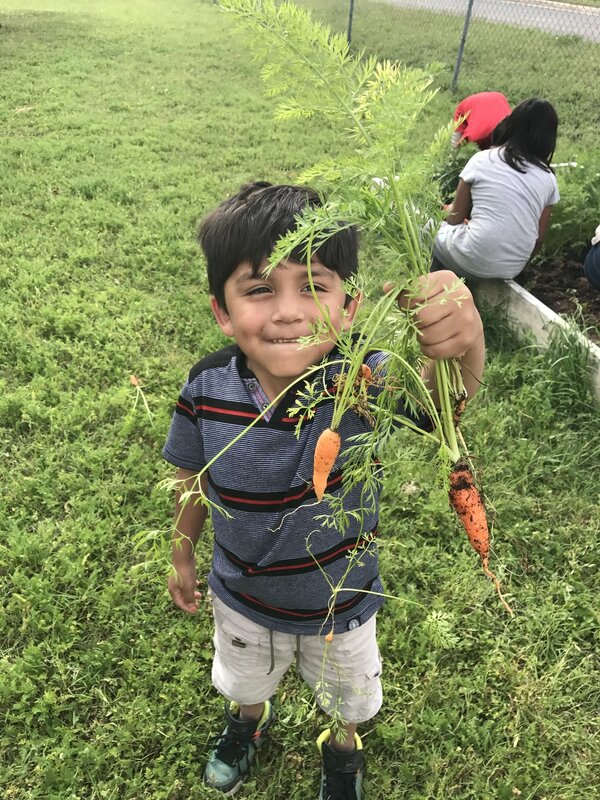 The EC Sector Organizer helps parents and providers build a collaborative network to access healthy food, PA equipment, and improved space and programming for play. By integrating Coordinated Approach to Child Health EC (CATCH-EC) curriculum into the educational setting, helping parents enroll their children in Pre-Kindergarten, and supporting home-based providers to build out healthy food storage, refrigeration units, and age-appropriate play spaces, GAVA’s EC sector provides hundreds of children with the building blocks they need to develop in a healthy, balanced environment.